Through the eyes of a child inmate, Adrian Ziegler, and a nurse, Anna Katschenka, Steve Sem-Sandberg, the author of the award-winning The Emperor of Lies, explores the very meaning of survival. 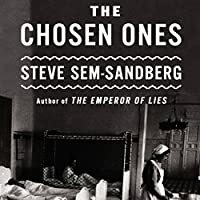 An absorbing, emotionally overwhelming novel, rich in incident and character, The Chosen Ones is obliquely illuminated by the author's sharp sense of the absurd. Passionately serious, meticulously researched, and deeply profound, this extraordinary and dramatic novel bears witness to oppression and injustice, and offers invaluable and necessary insight into an intolerable chapter in Austria's past.